The Crown, Stowupland - A traditional, popular dog-friendly village pub with a twist. Food is prepared fresh everyday. Take a stroll across the fields or follow the road for a 50 minute walk or it's only a 5 minute drive. The Barn Cafe, Alder Carr Farm, Needham Market - Situated in the courtyard of our local farm shop this lovely Cafe has a seasonally changing menu serving breakfast, lunch, sunday roasts and fabulous homemade cakes. Booking advisable. The Curry Inn, Needham Market - Restaurant and takeaway, this is a very good and local indian serving a wide range of dishes. Thali night on a thursday - a single serve 'tapas' style indian dish. The Bildeston Crown -A re-invention of the traditional English inn - a place to unwind, indulge and relax. Locally sourced, seasonal food in a comfortable environment to enjoy the beautiful Suffolk countryside. . The Great House, Lavenham - Award-winning French cuisine in an English country house. Maison Bleue, Bury St Edmunds - Set in modern and comfortable surroundings, French fine dining, beautiful food and professional service in a relaxed and welcoming environment. ​The Lindsey Rose, Lindsey - Country pub & restaurant. Superb food, beautifully located. 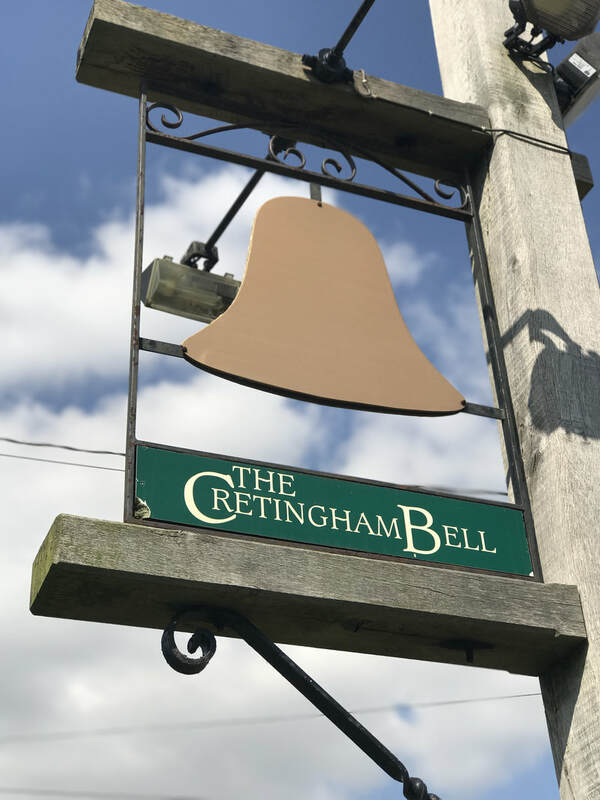 The Cretingham Bell, Woodbridge - A traditional Suffolk pub with crackling log fires, fine local ales and delicious homemade locally sourced food.